wonder why). Having exposed these fatal errors in our book and recent articles, and with the latest Sedevacantist “rebuttals” growing weaker and more desperate (descending almost completely into ad hominem attacks and accusations of “fear”), it is now safe to say: We hear the death knell for Sedevacantism. 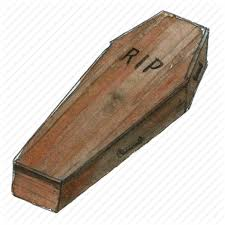 This article summarizes what we have presented in prior articles and ties the relevant concepts (of fact and law) together, which will help the reader close the coffin on the Sedevacantist corpse. In our prior articles, we demonstrated that questions relating to precisely how and when a heretical Pope loses his office are questions of law. These questions have been debated by theologians for centuries and have never been settled by the Church. We cited the letter from “the nine” (the nine priests who were expelled from the S.S.P.X. in 1983 and eventually became public Sedevacantists), who admitted that no one has the right to treat such speculative questions (e.g., questions of law) as having been settled, before the Church itself has rendered a judgment. These priests also admitted that pretending to definitively answering such questions by private judgment is a dangerous practice which opens the door to great evils, because it usurps the authority of the Church (in other words, precisely what they themselves now do). The admission by these nine Sedevacantist priests confirms what should be obvious – namely, that no lay person or cleric has the right to declare precisely how and when a heretical Pope loses his office (questions of law), simply because certain theologians of their choice have provided an opinion with which they happen to agree. We have also shown that St. Bellarmine himself did not present his opinion concerning how a Pope loses his office (questions of law and speculative theology) as being certainly correct; nor did he claim that those with whom he disagreed (those with different opinions) were certainly wrong. Bellarmine knew full well that questions of law and speculative theology can only be settled by the Church – just as the nine Sedevacantist priests themselves admitted. What this means is that no one can claim that just because a certain theologian held an opinion concerning a question of law, that their opinion must be correct; nor can an individual draw a conclusion based upon a theological opinion and then declare their conclusion to be a fact. Before the Church renders a judgment on questions of law, differing theological positions are nothing more than opinions, and therefore cannot be used as a certain premise to draw a certain conclusion, as the very theologians who held the opinions would readily concede. to be answered by the Church first, before she could apply any facts that she established to the relevant law). Just as the question of whether Dolan’s ordination was valid is a question of fact that only the Church has the authority to judge, so too is the question of whether a Pope is a heretic a question of fact that the Church alone has the authority to judge. Certainly, individuals can have an opinion concerning the matter before it is judged by the Church (for example, many are of the opinion that Pope Francis is a heretic, and even publicly express their opinion), but such private opinions do not constitute a fact in the ecclesiastical forum. As St. Thomas said, a public judgment must come from the public authority. “Since judgment should be pronounced according to the written law, as stated above, he that pronounces judgment, interprets, in a way, the letter of the law, by applying it to some particular case. Now since it belongs to the same authority to interpret and to make a law, just as a law cannot be made except by public authority, so neither can a judgment be pronounced except by public authority, which extends over those who are subject to the community” (St. Thomas Aquinas). Because the Church alone has the authority to judge the question of fact, it should be evident that when the theologians speak of a Pope losing his office ipso facto (which means “by the fact”), they are referring to the fact having been established by the public judgment of the Church (a “fact” according to the Church’s judgment), not simply “discerned” by Cekada, Derksen & Company (an alleged “fact” according to private judgment). 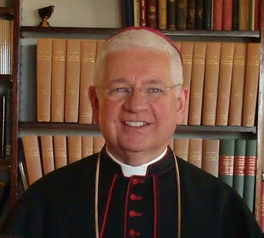 Other theologians and canonists, such as Wernz and Vidal, held that the ipso facto loss of office would occur, technically, before any declaration - but not, of course, without the Church first establishing the fact, since the Church alone is the competent authority to decide the facts, as Bishop Dolan concedes. Thus, according to this opinion, the Church (1) would establish the fact of the crime; (2) the Pope would fall from office, and (3) the Church would then declare the fact by which he had lost his office. In either case (whether the fall would occur before or after the declaration), the fact by which the Pope would lose his office is the Church’s judgment that the Pope is guilty of the crime of heresy. The “fact” is most certainly not established by individual Catholics who “discern” that the Pope is guilty of the “sin of heresy,” as Mario Derksen and Fr. Cekada maintain (and who incorrectly cites Wernz-Vidal for his position). Thus, when Bellarmine says that a manifest heretic loses his office “by the fact” of the heresy, he means after the “Roman Pontiff is judged” by the Church, who alone has the authority to establish the fact. from office, based upon the private judgment of individual Catholics (as Fr. Cekada incorrectly maintains). Rather, Bellarmine teaches that the “Roman Pontiff is judged,” meaning the Church establishes the fact of the crime while the man is Pope, and before he would be found guilty of the crime of heresy by which he would lose his office. Accordingly, for those (such as Bellarmine) who hold that a council can judge a Pope for the crime of heresy, it is not necessary to maintain that the fall would take place before the declaratory sentence was issued. It is certainly permissible to maintain that the fall would happen after the declaratory sentence was issued by the Church (as we saw above, Suarez said this was the common opinion in his and Bellarmine’s day). But the precise moment in time in which the fall occurs is only a minor technical matter (question of law) that offers no help for the Sedevacantist position, since the Church itself must first establish the fact, before the ipso facto loss of office occurs, irrespective of whether or when the Church issues a declaratory sentence. Just as the Church is the sole judge of the questions of law (e.g., how and when a heretical pope would lose his office), so too is it the sole judge of the question of fact (e.g., is the Pope a heretic?) by which the Pope loses his office for heresy. How Does the Church Establish the Fact of Heresy? The eminent eighteenth century Italian theologian, Pietro Ballerini, who is an adherent of Bellarmine’s opinion concerning how a heretical Pope loses his office (the question of law), explains how the Church would establish the fact that would bring about the ipso facto loss of office. Here we see exactly how the Church establishes the fact of the crime of heresy (pertinacity through warnings). Once the fact is established, according to this opinion, the Pope’s fall from office happens “by the very fact” (ipso facto), according to the Church’s judgment. Again, whether one holds that the loss of office occurs when the declaratory sentence is issued (e.g. Suarez), or before any declaratory sentence is issued (e.g., Wernz-Vidal), it makes no practical difference, since the fall would not occur before the Church establishes the fact. Again, whether the fall technically happens just before the declaration or at the moment the declaration is issued is merely a speculative question for theologians to discuss. But what is not in question is that before the Church establishes the fact of the crime, a heretical Pope will retain his office. As Fr. Laymann clearly teaches, a heretical Pope will not lose his office while he is being tolerated by the Church - in other words, at least up to the point that the proper authorities establish the fact of the crime. The reason is because it must be a fact in the ecclesiastical forum (according to the Church’s judgment), not simply according to the private judgment of any Catholic in the street. And this is the end for Sedevacantism. “Mario Derksen’s Elementary Error on Fact vs. Law” and “Sedevacantist Bishop Dan Dolan Concedes the Church is the Judge of the Question of Fact” at www.trueorfalsepope.com. For example, in response to the Third Opinion (that a heretical Pope cannot lose his office), Bellarmine said it was only “highly improbable,” not definitely wrong. 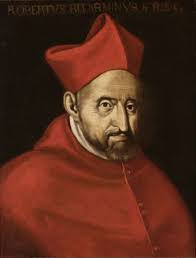 In response to the Fourth opinion (that the Church itself plays a part in severing the bond uniting the man to the pontificate), Bellarmine simply said “to my judgment, this opinion cannot be held.” Bellarmine went on to defend his own opinion (just as those who held the contrary opinions did), but he never claimed that his opinion is certainly correct. We again note that the Church would establish the fact of the crime of heresy only after settling the question of law, that is, exactly when and how the Pope would be judged and lose his office for the crime. Suarez, De Fide, Disp. 10, Sect. 6, n. 10, p. 317 (emphasis added). John of St. Thomas, a contemporary of Bellarmine, who knew his position well, also stated that Bellarmine did in fact hold the common opinion that a heretical Pope would have to be “declared incorrigible” before he would be “deposed immediately by Christ.” Cursus Theologici, II-II, Disp. II, Art. III, De Depositione Papae, p. 138. Suarez, De Fide, disp. X, sect. VI, nn. 3-10, pp. 316-317. F.X. Wernz, P. Vidal, Ius Canonicum (Rome: Gregorian 1943) 2:453. As we explain in True or False Pope?, according to this opinion, the Church’s determination of the crime is only the dispositive cause for the loss of office; Christ Himself is the efficient cause who severs the man from the papacy. Wernz-Vidal, Ius Canonicum (Rome, 1943), II, p. 518. “That a heretical Pope can be judged is expressly held in the Canon, Si Papa, dist. 40, and with Innocent (Serm. II de Consec. Pontif.) … heresy [is] the only reason where it is lawful for inferiors to judge superiors” (Bellarmine, De Romano Pontifice). De Romano Pontifice, bk. 2 ch. 30. 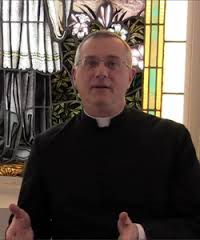 See our feature “Father Cekada’s Glaring Error on Canon 151” at www.trueorfalse pope.com. As we explain in True or False Pope?, these are warnings given in fraternal correction (acts of charity), not juridical warnings (acts of jurisdiction), since no one on Earth has jurisdiction over the Pope. The two main opinions are those of Bellarmine/Suarez, and John of St. Thomas/Cajetan. The former maintain the a heretical Pope loses his office ipso facto; the latter hold that the Church must play a part in the deposition itself, over and above merely establishing and declaring the crime. If someone wants to argue that the loss of office happens by the “public sin” of heresy, rather than the “public crime,” it doesn’t change the unanimous teaching of the theologians that the fact (“crime” or “public sin”) would have to be established by the Church, not “discerned” by private judgment. Laymann, Theol. Mor., bk. 2, tract 1, ch. 7, p. 153. Hervé. Manuale Theologiae Dogmaticae (1943), quoted in “Pope Sifting - Difficulties with Sedevacantism” (Angelus Press Magazine October 1995), by Laszlo Szijarto.